(Newser) – Just days after the end of the Republican National Convention, it looks like Mitt Romney's "bounce" is pretty modest, writes Nate Silver for the New York Times. Rasmussen's poll produced the best result, giving Romney a five-point swing and a three-percentage-point lead now. Ipsos now has Romney one point behind President Obama, for a three-point gain. And Gallup still has Obama one point in the lead, although, as Gallup uses a seven-day window, its poll is only halfway through the convention. I guess Ann wasn't a good enough actress. 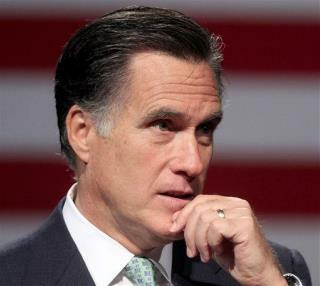 No one knows what Romney's proposed policies are or his political leanings. He is amorphous. His only strategy is campaigning that he is is not Obama. The convention gave us nothing new, just more "I'm not Obama, but I won't tell you why I'm different". Why would something so devoid of any information, surprise, or inspiration move the polls?